A divorce is never easy. In a divorce or separation, there is usually a division of assets. This may include the sale of the home that you shared, with the proceeds divided between the to of you (assuming community property, which applies in California). Both parties will then relocate. In other cases and depending on the settlement, the home is kept or occupied by one party while the other party relocates. When one or both of the parties relocate, they may each buy a new home, lease a home, or a combination of the two. If you are ordered to sell your home, it important that you select a real estate team that is highly experienced in order to maximize your profits from the sale. You will also want a team that will help you with all aspects of a relocation, be it a sale or a lease. In many cases, people want to stay in the same area or neighborhood, typically for schools, work, or friendships. In other cases, you may want to relocate closer to where you work, closer to family members, or to another great school district. 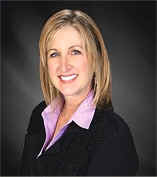 It is vital to have Realtors who are very knowledgeable about all areas of Orange County, including schools, safe neighborhoods, the commute to work, etc We are a highly experienced, full service real estate team in Orange County, California and we are experts at selling, leasing, and relocation to all areas of the County.. We will handle your real estate transaction with the utmost in discretion, sensitivity, and professionalism. Will you help with relocation? Yes - We do the whole job for you, from selling your home to helping you relocate to a new home with a purchase, a lease, or even a relocation out of the area. We are experts at sales and leasing and we will be glad to help you find your new home. If you are planning to move out of Orange County, CA,, we have an extensive network of real estate agents that can assist you anywhere in the US. We will have to sell our home as part of the divorce settlement. What can you do to get us the highest profit? Sell my home - This page outlines the steps we will take to market and sell your home. What is my home worth? - An explanation of the Comparable Market Analysis that we will use to price your home. We have a rental property that must be sold as part of the divorce settlement. Will you help with that? Yes - A rental or income producing property can be sold during a divorce, just like a primary residence. There would be one additional party involved and that would be the tenant (or tenants for a multi-unit). The owners will need to get the tenant's cooperation to show the property, plus any existing leases would remain in effect with the new owners of the property. As a real estate team, we have sold many properties that were tenant occupied and we have many strategies to sell the property under these circumstances. These include letting each party know about landlord/tenant rights, getting tenants to cooperate with showings, and even how to create incentives for the tenants to move out early. We also work with numerous investors who may wish to purchase the property as a rental and keep any existing tenants. Will you help with a home lease after the divorce? Leases in Orange County - Lots of links including many specialty searches like short term leases, furnished homes, one level homes, and more. Will you work with my attorney? Absolutely - Our goal is to earn your attorney's trust and to cooperate fully. Your attorney is your closest ally during this difficult time and they are best positioned to understand all of the details of your settlement. This would include the division of assets, which may include your home. We will work closely with your attorney to ensure that any amount due to you from a home sale will be disbursed to you accurately at close of escrow. You may also feel free to have your attorney call us for references. We will be happy to meet with your attorney to discuss how we can be of assistance. Do you have realtors at your office who are bi-lingual? Yes we do. We have several Realty One Group offices in Orange County and if you prefer to use an agent that is bi-lingual, we can arrange that for you. We have associate Realtors who are fluent in Spanish, Chinese (Mandarin and Cantonese), Vietnamese, Korean, Farsi, Dutch, German, Arabic, French, and other languages. Just call us and let us know how we can help. Specialists in sales, leasing, and relocation - We serve all of Orange County, CA. Want to learn more? Give us a call today!